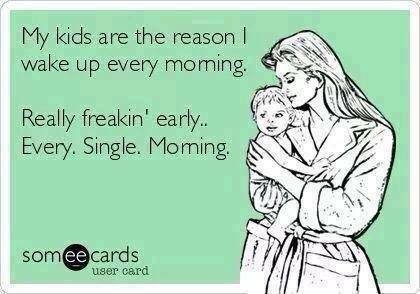 MY KIDS ARE THE REASON I WAKE UP EVERY MORNING. REALLY FREA - ProudMummy.com the Web's Community for Mums. MY KIDS ARE THE REASON I WAKE UP EVERY MORNING. REALLY FREAKIN' EARLY..EVERY. SINGLE. MORNING.